Looking back ten years or so to when SSDs were introduced, I would have never have believed that hard drives would still be the main system storage choice this far down the line. They are larger, slower, noisier, require more power which results in less portable battery life, lack security and endurance, and their performance is significantly less than an SSD. Yet… they are still cheaper and they can provide a larger capacity when needed. Capacity is not really a major issue for the masses but price is, and most likely, will always be paramount. This is where the Kingston A1000 NVMe SSD plans to make its appearance. First introduced at CES 2018 a few months back, Kingston displayed the A1000 in action and demonstrated it running at 3 times the read speed, as well as twice the write speed, of a typical SATA 3 device. 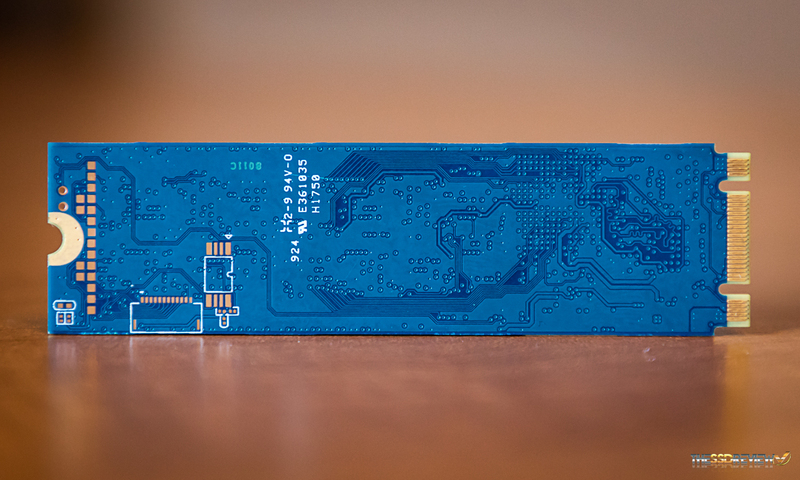 This performance, although very impressive for an entry-level SSD, doesn’t demonstrate the pure beauty of the any SSD which becomes evident through significantly faster access times, some 20x faster in fact. These ‘stealth like’ access times provide us with the almost instant access to data that we see today in things such as smart phones and ultrabooks. This is where Kingston believes they can up the ante. Price. 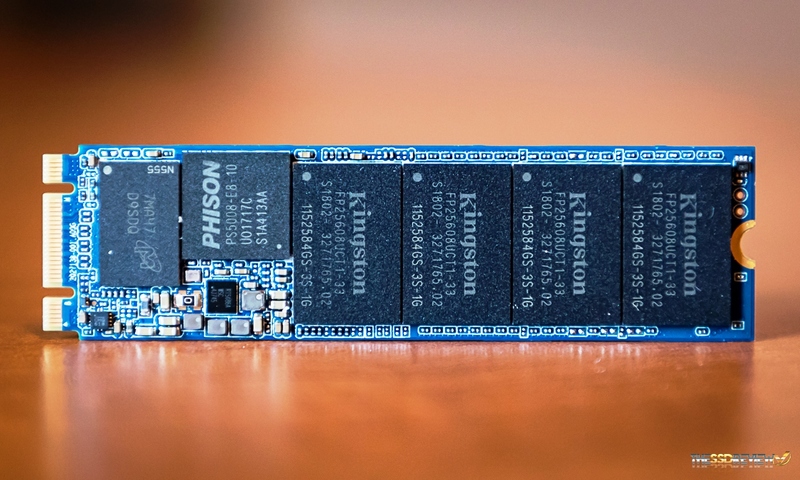 The Kingston A1000 NVMe SSD is an entry-level SSD meant to tackle just that. If we can find a way to level the playing field by pricing a NVMe SSD right beside its SATA 3 alternative, or maybe even a bit closer to a hard drive, yet providing a significantly higher level of performance, maybe we speed up the world shift to flash media, at least at the retail level, just a bit faster. 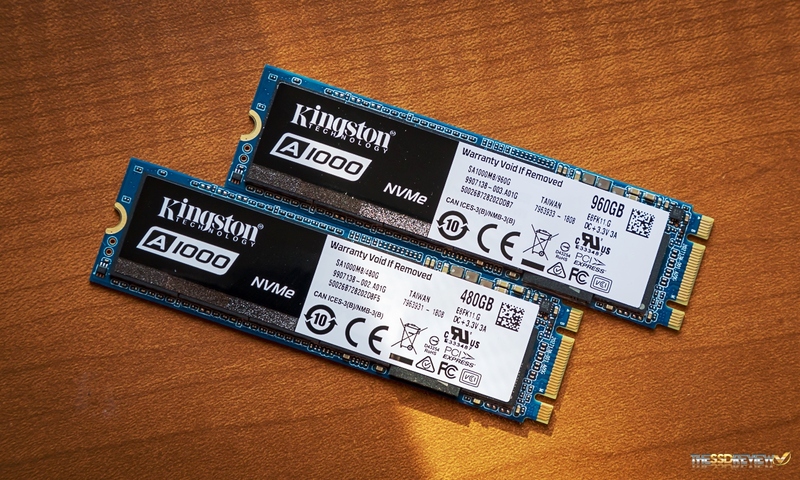 The Kingston A1000 is a PCIe 3.0 x2 (two lane) NVMe M.2 SSD that will be available at the 2280 (80mm) form factor; it is about the same size as a stick of gum. It will be introduced in 240, 480 and 960GB capacities with performance of 1500MB/s read and 800MB/s (240GB), 900MB/s (480GB) 1000MB/s (960GB) write. IOPS will also reach a high of 120K read and 100K write at the 960GB capacity, and once again, decreases slightly for lower capacities. 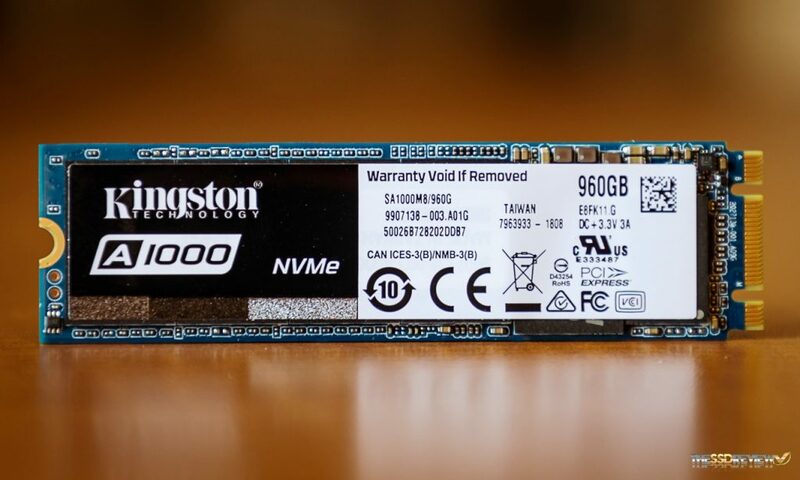 The Kingston A1000 also comes with a 5-year limited warranty, is rated for 150TBW (240GB), 300TBW (480GB) and 600TBW (960GB), and is compliant with the newest NVMe 1.3 protocol. Peeling the front branding sticker off of your A1000 will immediately void your warranty, but we do it to give the reader a closer look of what the A1000 is made of. This SSD is a single sided SSD, meaning all components are contained on the one side, and controlled by the Phison PS5008-E8 4-channel NVMe SSD controller. This controller was introduced in Q4 2017 and feeds into a two channel (x2) connector as we can see by the double slots of this picture above. These are termed as ‘M’ and ‘B’ keys and a single slot would mean that it uses four lanes for data transfer, and twice the speed. We can also see a Micron DRAM chip to the left of the E8 controller, and four pieces of Kingston branded memory to the right. The memory is Toshiba 256GbBiCS 3D TLC NAND flash memory, each piece having a RAW value of 256GB on this particular 960GB sample. Once formatted. this 960GB sample provides 894GB of available user space for storage. The Kingston A1000 also comes with a free copy of Acronis True image software for system migration. 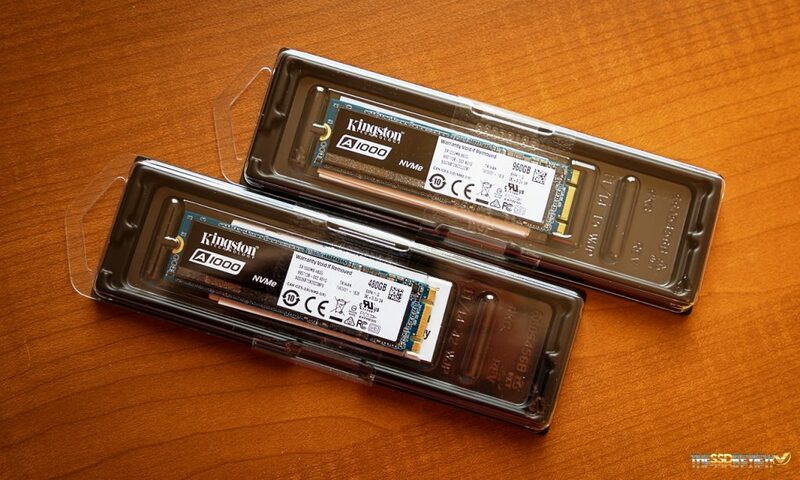 Kingston MSRP for the A1000 is $119.60 (240GB), $218.40 (480GB) and $403 for the 960GB. Checking Amazon though, we can see that the 480GB capacity will be listed for $189 with the 960GB version we tested today at $349. Those are great prices. You might want to check out availability of those links as those prices might not last long!